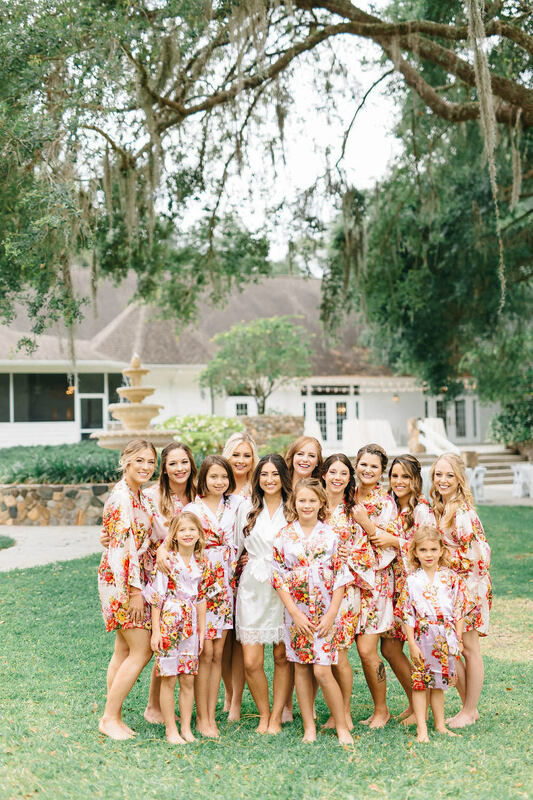 Olivia and Aaron’s outdoor Tampa Bay wedding incorporated the significance of their Cinco De Mayo celebration with a Mexican themed cocktail hour complete with tacos, margaritas and their love for the number five! Olivia knew she wanted a wedding planner whom she connected with and the moment she came across Burlap to Lace, she was sold. During the pre-planning stages, both bride and groom knew a few elements that were necessary come the big day. 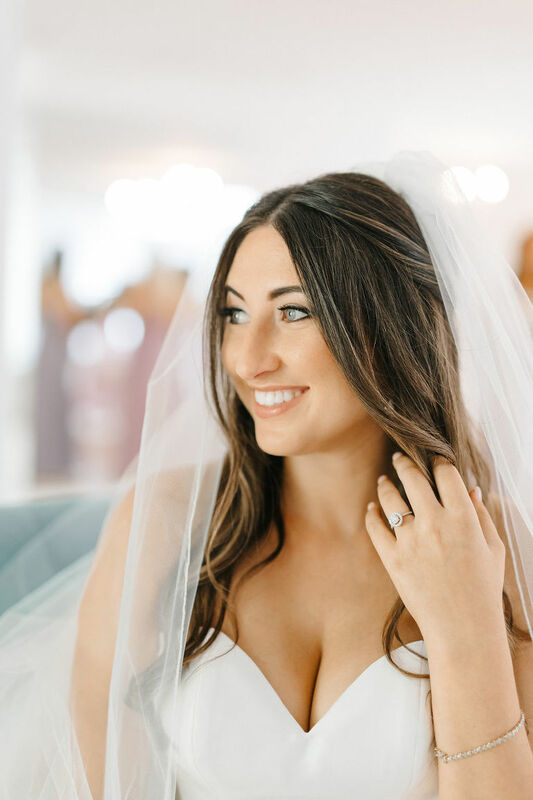 With so many beautiful memories from their wedding day, Olivia and Aaron had one in particular that they both cherished. “Our most memorable moment was seeing each other as I walked down the aisle. For me seeing his reaction was that moment I had dreamed and hoped for since I was a little girl. It was truly the most amazing moment for both of us,” the bride reminisced. It was a Friday night, and I was going home for the weekend from Orlando where I lived at the time. Aaron lived in Boca Raton at the time and was also coming home for the weekend. That Thursday night my two friends asked me to go out. Come Friday, they kept texting me about going out, and I said I didn’t want to spend a lot. I even told Aaron I may not go because of that, and he told me I should go and have fun, and even sent me some money since he knew I was worried about it. Even with that I still was not in the mood to go! When I got to my friend’s house, we had some wine, and my two friends said we should dress up for the night. Since I originally didn’t plan on going out anyway, all I had with me were some t-shirt dresses, so my friend let me borrow one of her dresses! I asked my friend to do my hair, and this is nothing new, and she said yes and then said she would do my makeup too! While she was doing my makeup, we even talked about when I thought Aaron might propose, and I said I didn’t know, but I thought it was coming somewhat soon. Our first stop was The Canopy rooftop bar on top of The Birchwood. Aaron and I were texting, both of us saying how we couldn’t wait to see each other. I was headed to the bar, when I saw one of our other girlfriends sitting on one of the couches, I immediately turned to one of my friends and said, “I didn’t know she was coming out too!” Then, I saw one of our guy friends and that’s when I felt something was going on. In the minute it took my brain to process this, I looked up and saw more of my friends, then my family, and eventually Aaron. Knowing exactly what was about to happen I immediately burst into tears! I remember walking toward him and him getting down on one knee and asking me to marry him, but everything else is a blur. He planned this all on his own, with just the help of my two friends to get me there, but he pulled off the ultimate surprise with 30 of my friends and family. I was, at that moment, the luckiest girl in the world! It was the perfect proposal! When looking for a wedding planner, I definitely wanted a planner whom I could easily talk to and build a relationship with. I also wanted someone detailed oriented and who could help me streamline all my ideas/visions into a reality. I want to learn more about wedding planning from Burlap to Lace. Burlap to Lace will contact you shortly! I chose Lindsay from Burlap to Lace, because we instantly formed a connection. She was so easy to talk to, like talking to a friend. From day one she was amazing to work with and always made me feel like I was her top priority. I can not say enough good things about her and her planning skills. Soft and romantic. My wedding design came from wanting a timeless feel with a touch of modern color. 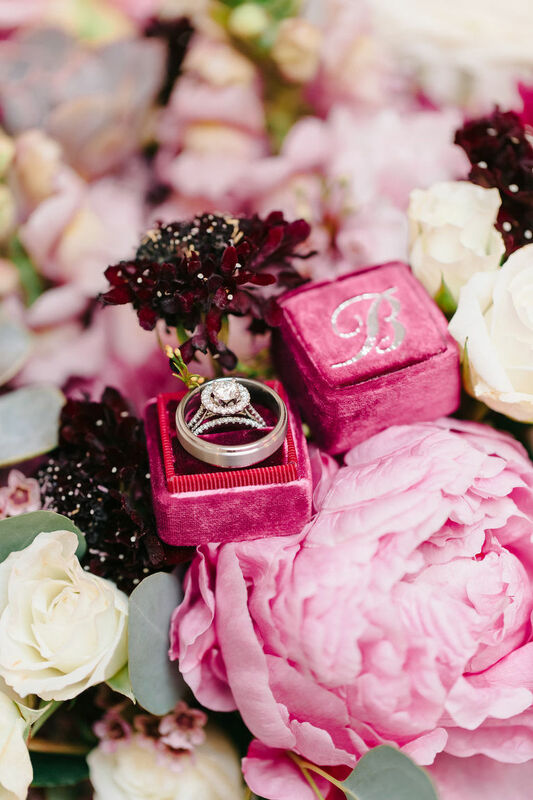 Mixing the hues of mauve with touches of gold and having soft loose floral really made my vision come to life. We picked the mauve tone because we both like the color purple. My tastes are more light purple, his more dark, so I thought the mauve was a perfect middle ground to bring out our favorite shade. Truly enjoy every second of your engagement and wedding day. Soak it all in, every moment, because time flies by before you know its over.